Triple Bottom Line: a bridge between Corporate Capitalism and Deliberate Socialism? 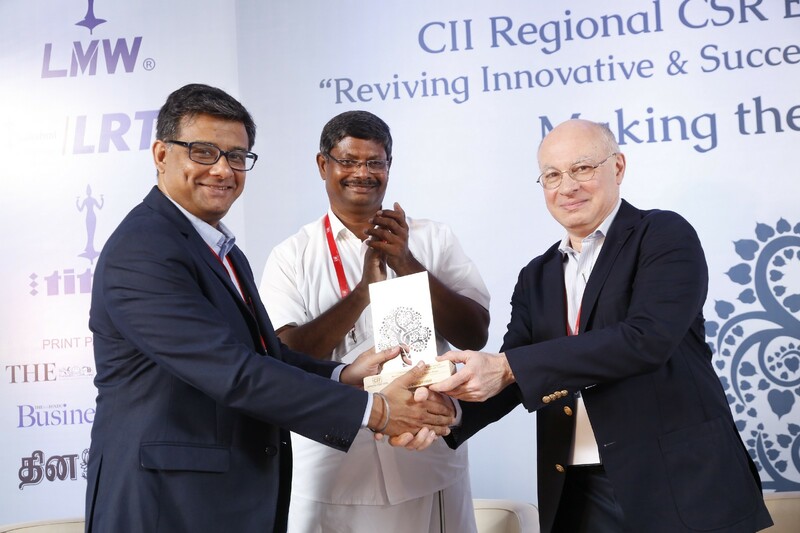 Recently, I was invited onto a panel discussion of the Confederation of Indian Industry (CII) Summit at Coimbatore, Tamil Nadu, Southern India that was focused on Indian CSR and its impact. In my opinion, this was one of the more exciting summits for a change, as it did not have a condescending and disdainful tinge, that many CSR conferences are often subjected to. It gave many of the participant non-profits an equal chance to showcase their work; they had more ‘podium time’ than what one would have envisaged. Kudos to the South India CII team for making this a bit different than the other usual templates! The most riveting essence of this summit was the discussion around the Triple Bottom Line(TBL) for corporate good. This denomination, characterized so well by British author John Elkington, is a beacon for many companies worldwide. Interestingly, many companies around the world, including Indian ones, have built this as a part of their overall organizational strategy — and not just as their stand-alone CSR strategy. Incidentally, a report ‘India’s CSR Reporting Survey 2017’, released by KPMG, showed that only 20% of companies in India have aligned their CSR projects with the Sustainable Development Goals (SDGs) and have made a disclosure regarding same in their annual reports. However, strategic integration of the same in their CSR policy was observed only with a handful of exemplar companies. Many of these exemplars have been practicing TBL for many years, while there are others that have started exploring this in its true merit and essence only recently. This article is not to summarize all the speeches and presentations given during the CSR Summit. However, one inspiring perspective came from Mr. Krishnaraj Vanavarayar BK, who is the founder of Nallamuthu Gounder Mahalingam Collegebased in Coimbatore in the southern Indian state of Tamil Nadu. He pointed out that much of the inspirations of the earlier industrialists were derived from the teachings of Gandhi and named out several of the Coimbatore stalwart business families who had derived their philanthropic impulses from these teachings. Interesting point! Many of these old world institutions contributed huge chunks of support to social and philanthropic causes despite not being mandated by any law. And many of the big old industrial families of national prominence who lent support during India’s struggle for independence, still exist today — thriving and contributing to national progress. Nevertheless, for many such truly altruistic examples, there are other instances of corporations who try to camouflage their dirty businesses, by glorious communications around their philanthropic façade — and do a surprisingly good job at that! Some things come to my mind as I write this article — especially from the Indian context after the new law has kicked in. After the new CSR law kicked in under the Companies Law 2013, it is now mandated that any company having an annual turnover of Rs.1000 Cr or net profit of Rs.5 Cr or net worth of Rs.500 Cr is required to spend at least 2% of their average net profit on CSR related activities. With the CSR landscape still in its infancy in India (4.5 years is ‘infancy’ in the cosmic lifetime of what needs to be attained and balancing social & environmental equity, while clamoring for business growth), the timing cannot be better to make the changes and adjust whatever is needed, to make the CSR paradigm thinking move from ‘just compliance’. Corporate sustainability is actually profitable. The moment corporations choose between profitability and sustainability — they eventually lose the perception battle- sooner than later. An MIT study has mapped the linkage between corporate sustainability and profitability and found a directly proportional relationship. TBL allows many brands and companies to enter new markets and open new vistas for bigger business potential. Whilst on this, let me reiterate the most successful examples of this are when they couple their sustainability strategies with their overall corporate strategy — and not just as an afterthought. One has to acknowledge that defining TBL is the easier part; measuring the same is more difficult. Corporations are natural experts in determining business metrics, but they do struggle with social and environmental metrics. Most of the social and environmental metrics need to be linked to a ‘Theory of Change’, and that usually happens over a longer period of time and not just on an annual fiscal year review period. Both the non-profit world and the corporations need to agree on a definition that works for both spheres. The absence of that is attempting to define the social and environmental progress by holding it by its scruff and annualizing it for the annual report. The result — 2 % CSR spends are set as per the law, but is it well spent for the intention it was set out in the first place? In the world of different hues of corporations, there are distinctly three kinds of organizations that deal with the concept of TBL in different ways. The first are the Exemplars: Companies and brands that usually have a retail consumer-focused businesses and ‘doing good business’ is a part of their DNA. International brands like Patagonia, Body Shop and Indian stalwarts like AMUL and Lijjat Papad are super examples of being highly profitable and yet keeping the ‘center of gravity’ of their work on social and environmental considerations. The next category is Strivers: Companies who have made serious attempts and defined or redefined their core corporate strategy to align to the triple bottom line. Clearly, it makes business sense for respected intercontinental brands like Lipton to have its premium teas certified by the Rainforest Alliance or the likes of Starbucks to procure its aromatic coffees that have been blessed with the Fairtrade tag. Last but not least are the Laggards: Companies that need to be dragged to the table to define their TBL. Usually, this is at the end of a sustained high profile public campaign by activists that forces these brands to buckle up under pressure and accept the reality. History is rife with examples around the globe and some in India too. Both corporations and NGOs have important roles to play to make this work effectively. Both these sectors have to move away from a sometimes dysfunctional, conceitful and disdainful approach to a more collaborative effort and learn from each other. A recent CSR assessment by Associated Chambers of Commerce and Industry of India (ASSOCHAM) has found out that 67% of Indian companies choose NGOs as partners to undertake their CSR projects. Many, if not most companies, are trying hard to redefine CSR under the new law. This is the time to collaborate, converse and co-build strategies. How do non-profits address the needs of companies to determine tangible, quantifiable outputs (annually) and link it to more substantial outcomes (multi-year periods) and agree to a “Theory of Change”? This means NGOs need to alter their language and understanding and co-develop a ToC that meets the companies’ own business strategy. Non-profits themselves need to have a sharp CSR funding strategy. They need to do sectorial research, have a credible Board for effective governance, build domain expertise and most importantly learn to say NO when there is a mission drift or strategic non-alignment with a CSR funder. A long term partnership lens with NGOs they are comfortable working with, will build the bridge to scalability for long term impact and give bang for the CSR buck. How can companies build the capacity of NGO partners to think more quantifiable impact (that which is realistic too) and help develop systems orientation? How can companies think differently, innovatively and creatively when designing CSR strategies? For instance, shift the thinking from pure grantmaking to moving towards ‘leveraged investments’ is an innovative strategy e.g., Standing in as a corporate guarantee with a bank for extending loans for unbanked entrepreneurs. Only in case the risks are realized, would the bank invoke the guarantee, else it’s a rolling revolving fund that can spur a virtuous cycle of entrepreneurial ideas. The risk realized amount is the actual CSR spend- rest are just investments locked up in a bank, earning interest. Here, I would cite an example of how we have attained this at S3IDF, an international development organization that I lead in India. S3IDF has put a guarantee of Rs. 3 lakhs with the Canara Bank in Karnataka, India so that the bank could lend a term loan and working capital to the Salugatte Farmer Producer Company located in Tumkur district of Karnataka, India. The Farmer Producer Company will further utilize this term loan and working capital to procure a millet processing machine and carry out their business activities. In this case, for instance, a credible corporation having interests in the farm sector could have considered putting in a guarantee in the bank for the term loan to kick in. Another option can be a Viability Gap fund that a CSR funds to an FPO in case of market vagaries rather than giving pure grants. These instances clearly would have been far more impactful as they would build an ecosystem for small landholding farmers, stop reliance on pure charity and also provide confidence to financial institutions to lend to a sector that desperately needs capital. Indian CSR is at the right cusp of redefining what needs to be adjusted or re-formatted to make the Companies CSR policy rules 2014 more impactful. How non-profits define core development issues can be very different from how companies perceive and do it. Having said that, both non-profits and for-profits need to sit down and initiate a dialogue on how to make this work better. This CII summit is perhaps a good step forward, and this needs to permeate into the very being of corporate strategy building. The moot point I ponder upon in this article is to self- investigate an agreeable TBL pathway, one that builds a bridge between corporate capitalism and deliberate socialism, one that couples sharp business brains with the best of development thinking, for an equitable and sustainable development paradigm. The views expressed in this article are those personally of the author and do not necessarily reflect the opinion of the organisation.